Grooving using G75 grooving cycle. 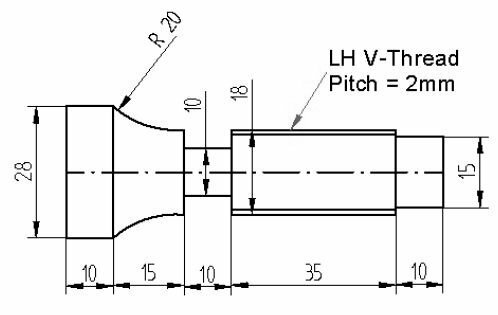 Write an ISO part programming for the FANUC controlled CNC Lathe using canned cycle. Work piece diameter = 30mm, Work piece material = Mild Steel, Feed = 0.2mm/rev, Speed for turning = 1200rpm, Depth of cut = 0.5mm.